It is highly recommended to take an Epsom Salts Bath after a massage, especially after a deep tissue massage or if you are sensitive to touch or have Fibromyalgia. By taking a hot bath with 3 cups of Epsom Salts for about 15 minutes will reduce the side affects of massage. 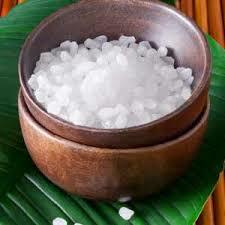 The salts will draw out the lactic acid and toxins that have been moved into your lymph glands during massage. If you have low blood pressure reduce the temperature and time as the heat will reduce your blood pressure even further. It is normal to feel some discomfort one or two days after a deep tissue massage as the therapist is breaking up the fascia fibers and the muscle tissue needs to go through a healing process. The long term effects of massage will help you feel better through out the week or weeks to come, depending on the severity of the injury or hypertonicity of the muscle tissue. If you want to detox even after a relaxation massage this method will increase the release of all the toxins that have been building up in your system as well. I often give home care to my patients who are interested in taking care of themselves in between massages. I encourage them to purchase the Theracane which can be used all over the body, comes with instructions and is great to release tension in the upper shoulders & mid to low back. Click on link below to find out more about the Theracane at Thera Cane Central. I also encourage clients to use a Tennis Ball for releasing Trigger Points in the glutes (buttocks area), low back, or in between the shoulder blades. IT Band. If you can figure out how to use it anywhere on the body, it can be done, I have tried most areas of the body, some are challenging but can be done. A heating bag can be your best friend when you are waiting to get in for a massage when you are experiencing pain or discomfort, or in between massage treatments when needed. It will decrease the pain temporarily and give you some relief. If you have any inflammation then use ice. 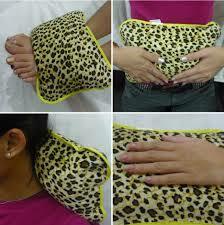 (never use ice on a spasm or nerve pain as this will increase the pain, use heat to minimize the pain). Take care of your Health, Take care of YOU :) You Deserve it !